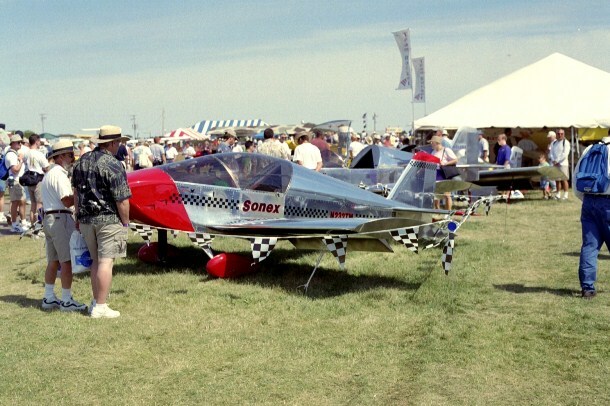 What Makes The Sonex Such a Great Plane To Own & Fly. What Makes The Sonex Such A Great Plane To Own And Fly? I think the answer to that question is they are so very simple and straight forward. The Sonex is light weight and has side by side seating which for the Wife or girl friend can be a nice feature. The plane can accomodate from 80 to 120 hp engines. From the 1835cc to 2188cc VW engines to the more powerful 120hp Jabiru. They come in many different styles. This kit plane can be built by anyone with very basic tools and a garage to work in. All you need is the desire and perseverance and you can have one of these as well. If you live in the US all you have to do is join your local EAA Club in the area. If you live in other countries you may have the same or similar type of clubs as here. You will have all the help and support you would ever need. These groups are filled with fellow builders of all kinds, who have built their own or in the process of doing it. Thanks for flying in to see whats new with "Sonex". This page is still under construction but feel free to Bookmark this page and fly-by from time to time and see whats new. As always, stay safe and Happy Flying! !